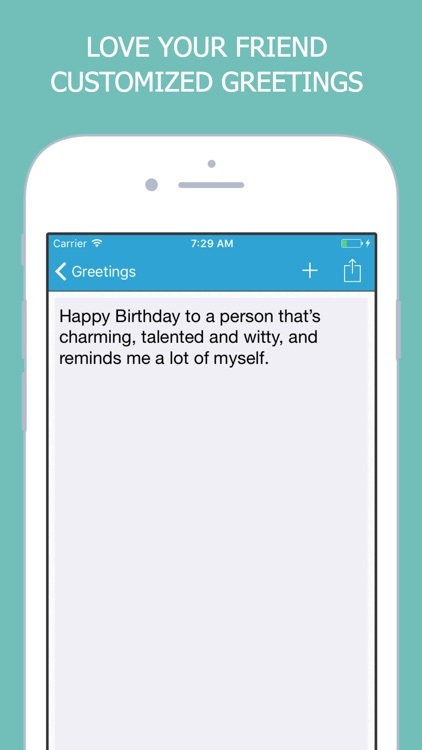 Happy birthday greetings and happy birthday reminder app. 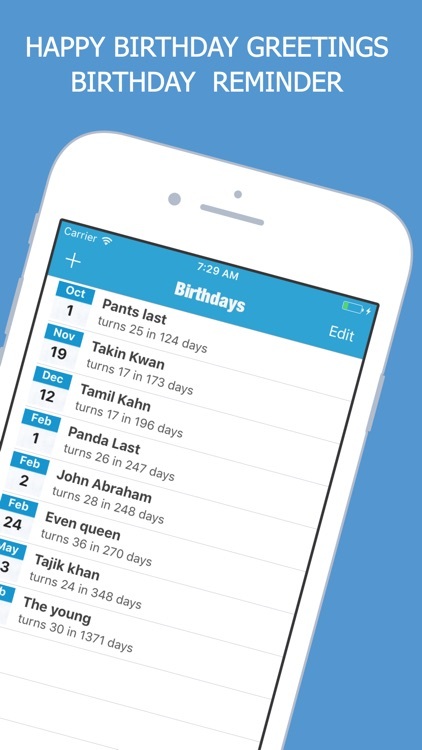 Never forget anyone’s birthday again—but also don’t waste your time copying and pasting everyone’s birthday into an app. 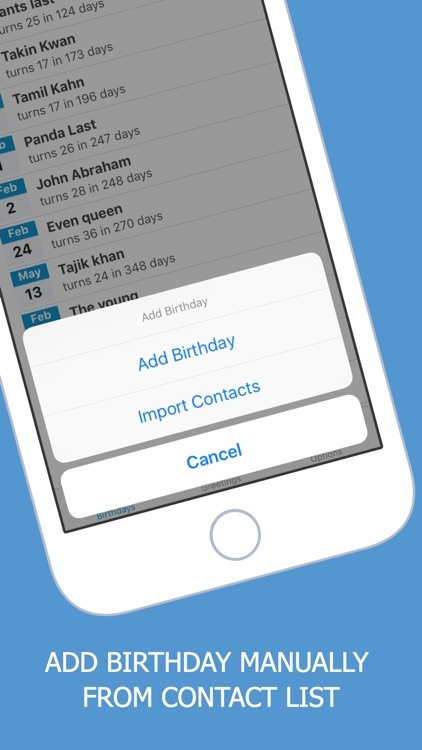 Birthday Reminder can import birthdays directly from the contact information already stored on your iPhone, iPad, or iPod Touch. 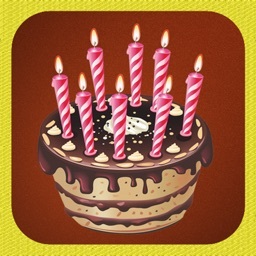 Quickly send cool birthday greetings from the app. 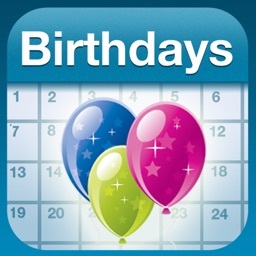 • Add birthdays manually or import them instantly from your contact database. 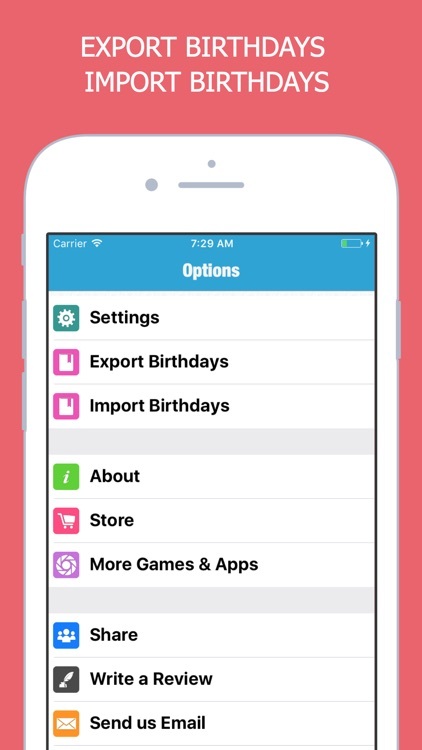 • A birthday notification is sent to you 3 days before each birthday so you can buy a gift or send a birthday card by mail. 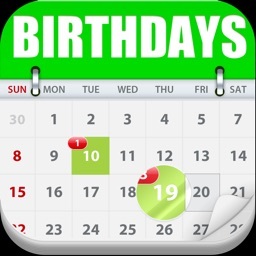 • Upcoming birthdays listed by soonest first so you always know whom you need to shop for next. • A final notification on each birthday will make you alert. 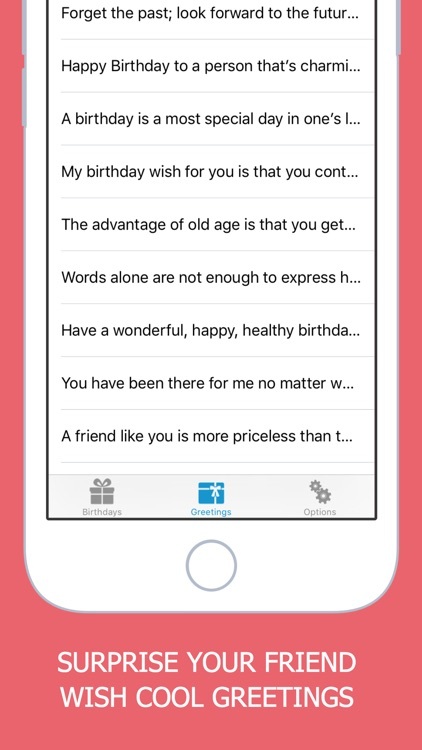 You can customize Birthday Reminder to suit your needs. By default it reminds you about birthdays three days before the event, but you can give yourself more time for shopping or filling out cards by setting the reminder earlier. Another notification gets sent to you on the day of the birthday; you can disable it if you don’t need it. And, unlike some notification apps, you can change the notification time so it doesn’t disturb you during other important events. 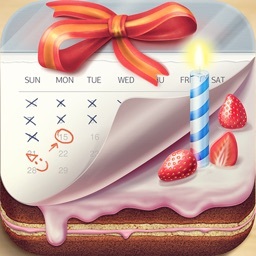 The application includes two calendar modes. 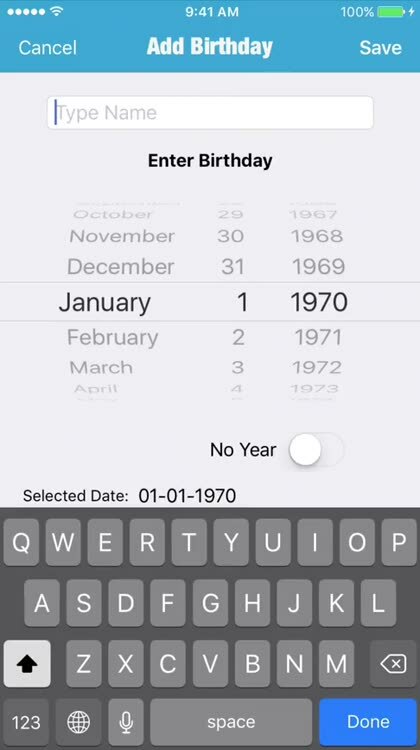 One mode provides a countdown-like list for each birthday, displaying the nearest birthdays first so you can start preparing for them. 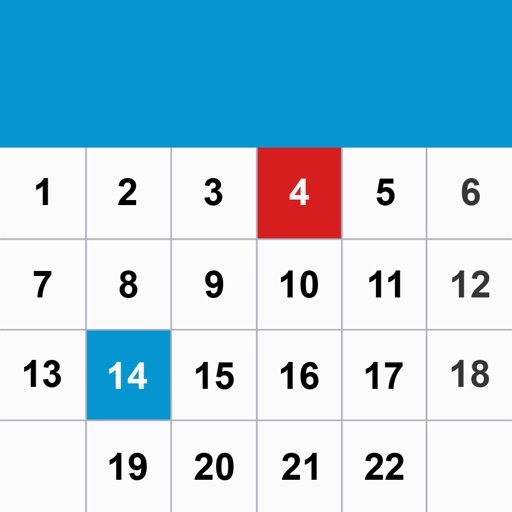 The other mode provides a traditional monthly calendar with birthdays highlighted so you can make plans for celebrating on the nearest weekend. And all of this information is available without requiring you enter it. 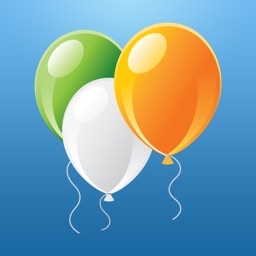 Just pull from your iPhone or iPad contact database to get the birthdays for everyone you know.